The 26th yearly GUST conference will in 2018 be held from April 28th (Saturday) until May 2nd (Wednesday). As May 3rd is a Polish holiday we propose to extend your stay (optionally) until lunch on that day and devote the extra time to BoF sessions or similar activities or just shake off the conference stress. 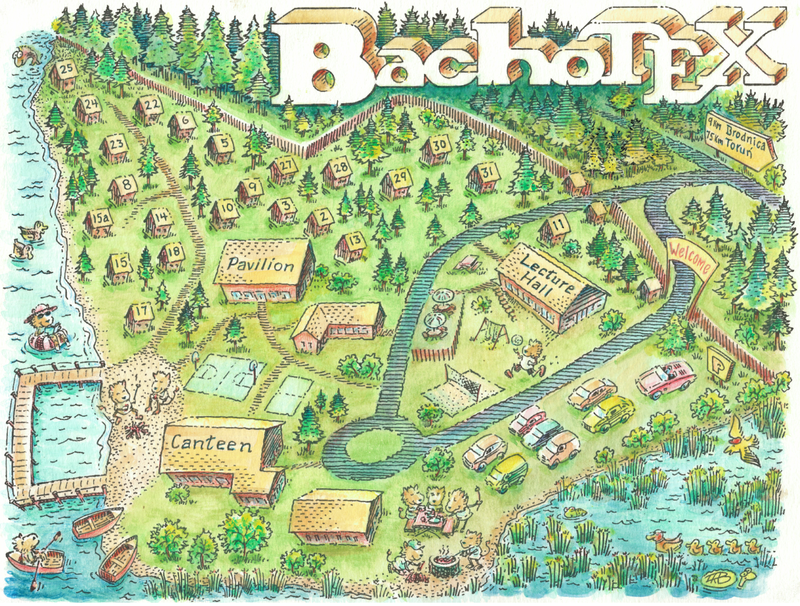 The venue, as always, since 1993, is Bachotek near Brodnica, in the north-east of Poland (cf. Google and OpenStreetMap maps). And the most important plan, of the venue itself, as drawn by Duane Bibby. Many thanks to Mojca Miklavec, Hans Hagen and the ConTeXt users. BachoTeX promo by Reinhard Kotucha, optimized for: 1024x768 px, 1280x1024 px and 1920x1080 px.